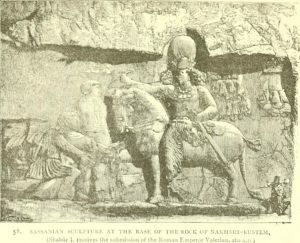 The Persians, like most ancient peoples, started out with a polytheistic religion to account for the forces of nature. However, around 600 B.C.E., a new religion emerged, called Zoroastrianism after its founder, Zoroaster. This religion was developed by Zoroaster, a great prophet and religious reformer, in about 600 B.C. 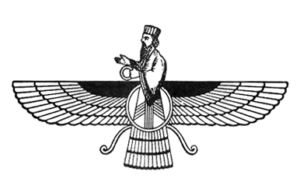 Zoroastrianism was a model because of its simplicity. Zoroastrianism became the official religion of the Persian Empire, but it virtually disappeared in Persia after the Muslim invasion of 637 AD. The Persians only worshipped two gods, one good god, who symbolizes light, was Ahura Mazda; and the evil god, symbolizes darkness and death, was Ahriman. Only about 10,000 survive in remote villages in Iran, but over the centuries many sought religious freedom in India. This was a dualistic religion, which meant it saw life as a constant struggle between the forces of good and evil. In the end, people would all be held accountable for their deeds in a judgment day when they would go to heaven as a reward for good deeds or suffer eternal punishment for their sins. Zoroastrianism seems to have had some influence on Judaism. Festivals, in which worship is an essential part, are characteristic aspects of Zoroastrianism, a faith that enjoins on man the pleasant duty of being happy. The principal festivals in the Parsi year are the six seasonal festivals, Gahanbars, and the days in memory of the dead at year’s end. Also, each day of the month and each of the 12 months of the year is dedicated to a deity. 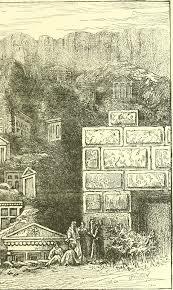 In 399 B.C, orders were issued for the destruction of all churches, and these were carried out by the Zoroastrians, who had regarded with great envy the royal favor extended to Maruthas and his co-religionists. Before long the destruction of churches developed into a general persecution, in which Abbas was one of the first martyrs. In the book of Daniel, which takes place at the Persian court, the ideas of Heaven and Hell and of Satan as a force always opposed to God first appear in the Bible. Both of these ideas have become central to Christianity and Islam as well as Judaism. In 275 BC, the revival of the Zoroastrian religion became a movement of great importance. Having attained ascendancy in Persia under the early Sassanid kings, it grew very intolerant, persecuting alike heathen and Christian. It first turned against Mani, the founder of Manichæism, and his followers, under Bahram I. Mani himself, at first in favor at the Persian Court, was crucified about the year 275. Amongst the Persians, it was never permitted to make converts from the state religion. The Jacobites, however, were of little importance so far east, where Nestorianism was the prevailing type of Christianity.